A well-known Call of Duty organization is now ready for CWL Anaheim. A fan-favorite organization in Call of Duty esports just introduced their new fourth player earlier tonight. Lamar “Accuracy” Abedi will join Team Kaliber for the Call of Duty World League Anaheim Open in June, replacing Cole “ColeChan” Chancey. Accuracy will now compete alongside Dylan “Theory” McGee, Jevon “Goonjar” Gooljar-Lim, and Nick “Happy” Suda. After a top-24 finish at the CWL Dallas Open in March, Team Kaliber knew that they needed to make a roster change. 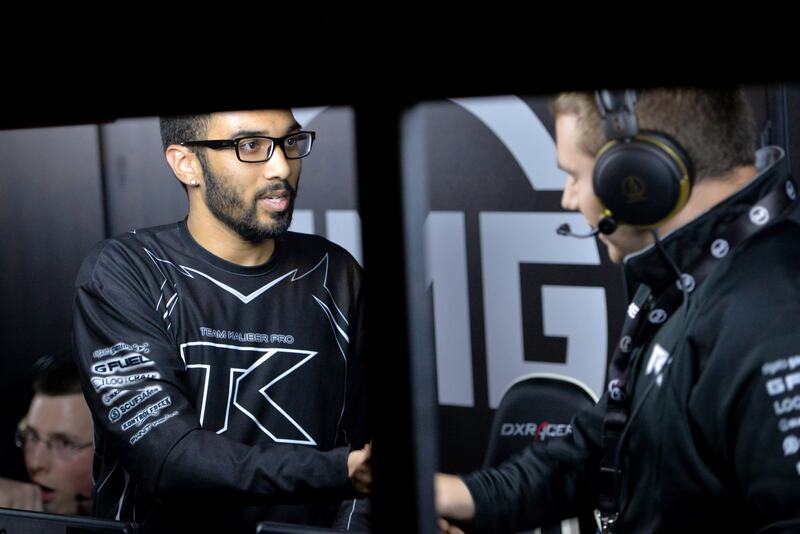 Initially, the team was scrimming with Steve “Mochila” Canle, but tK was unable to place higher than top eight in one of the North American 2K tournaments with Mochila. Accuracy most recently played for G2 Esports, but he hasn’t seen the same success that he did when he burst onto the scene in Call of Duty: Advanced Warfare. But, Accuracy is still a talented slayer who should help Team Kaliber improve their respawn gameplay. Team Kaliber has also had a disappointing season so far in Call of Duty: Infinite Warfare. Outside of the CWL Las Vegas Open in December, tK’s best placing was a top-20 finish at the CWL Atlanta Open in February. Although Accuracy has over 3,000 less pro points than ColeChan, tK is still one of the top non-pro league teams in the North American pro point standings. This revamped Team Kaliber lineup will look to earn a spot in the second season of the CWL Global Pro League when they compete in the relegation qualifier on June 3.